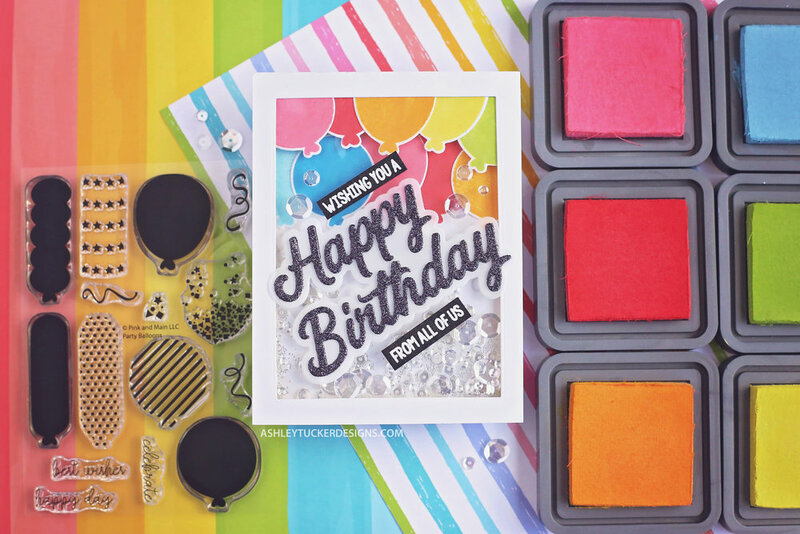 Birthday Balloon Shaker Card | Pink & Main's 5th Birthday Blog Hop! Hello my friends! 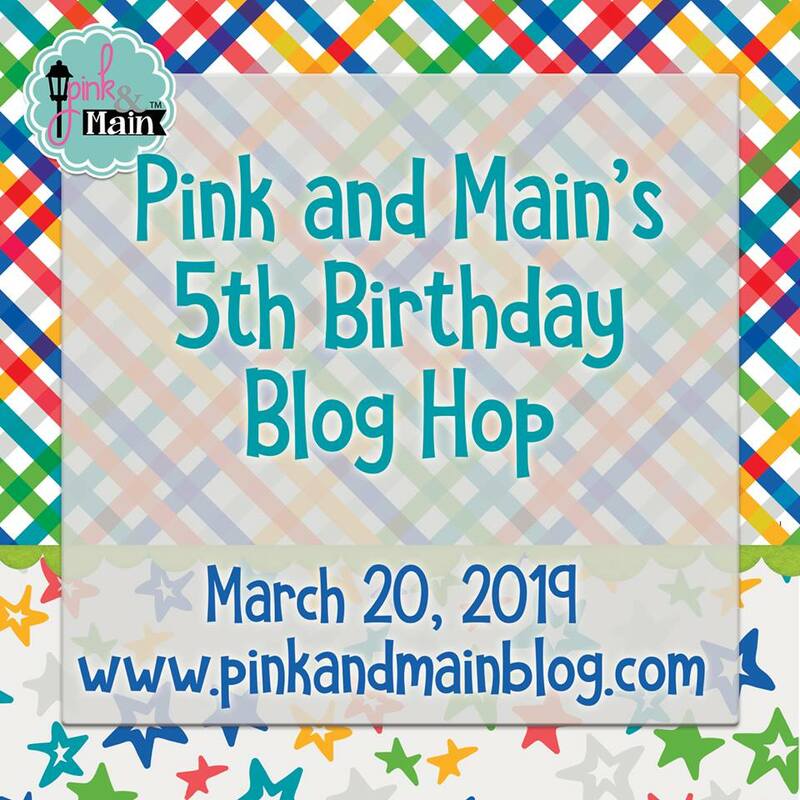 Today I am celebrating with Pink and Main for their 5th birthday and we are partying with a blog hop! 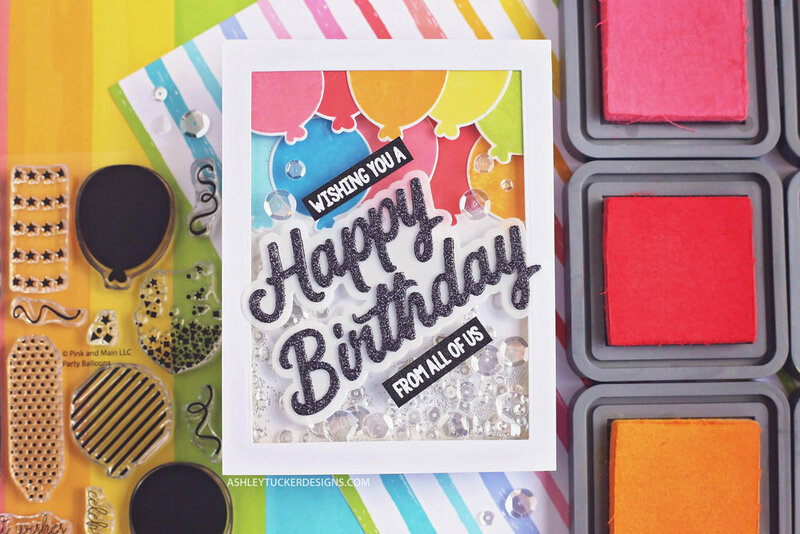 Not only are you going to see lots of fabulous cards from Pink and Main’s brand new release on this blog hop, but you will also get the chance to win an awesome prize! Pink and Main will be picking 5 random winners from the comments left on all of the blogs in the hop and each of those winners will receive $50 in store credit! Be sure to leave a your comments by the 24th of March and the winners will be announced on March 25th on the Pink and Main blog. I started my card by stamping a ton of the balloons from the Party Balloons stamp set onto some Neenah Classic Crest Solar White cardstock with Distress Oxide ink. 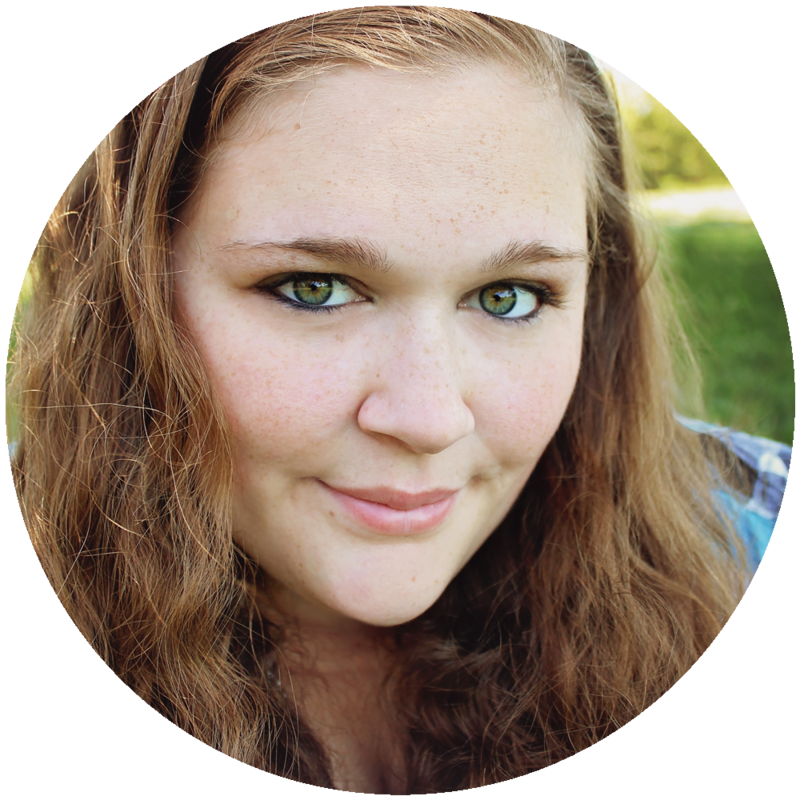 The colors I used are Worn Lipstick, Festive Berries, Wild Honey, Squeezed Lemonade, Twisted Citron, Mermaid Lagoon, and Tumbled Glass. I cut the balloons out using the coordinating die set. I created a frame out of white cardstock using a rectangle die and glued a piece of acetate to the back of it. I then glued a row of balloons along the top edge of the frame. Next I took an A2 size panel of white cardstock and blended some clouds on it using a cloud stencil and a light gray ink. I glued another row of balloons on that panel. I used some doubled up foam tape on the edges of my frame to create a shaker are and filled it up with clear sequins and micro pearls. I closed up the shaker with the cloud panel. For the sentiment I used the Happy Birthday die set from Pink and Main. I also embossed a few smaller sentiments from the Birthday Script stamp set and popped them up on the card. For the finishing touches on the card I used my Wink of Stella glitter brush on the sentiment strips and I also added a few sequins on the front of the shaker.